I’ve realized that you have to make changes daily and you can NEVER lose focus- not even for a day. I’m trying to go through my day to see what I did to push me towards where I want to be and what I did to push m farther away and then adjust the next day. I keep screwing up and if I allow a day to pass without evaluating what I’m doing- that day may turn into a week…a month…a decade and I can’t let that happen- AGAIN. I dropped 112 lbs between 2005-2006 but then gained it all PLUS 30 back because I stopped focusing and time just go away from me. I know today that I’m doing IF and then doing a 5K and I don’t plan on blowing any money. I need to do things daily that are going to help me get where I want to be and I need to really focus on what I’m doing and why…both good and bad. I really can’t stress that enough- you will always have good days and bad days but what you do every single minute of every single day effects your journey and I keep pushing myself away from my goals and then spending weeks just to get back to where I was- only to do it all over again. I gotta get back to planning my day out completely and knowing when and what I’m eating and not changing from that plan- I need to plan time to focus on my goals and things that make me happy daily because when I don’t have a plan, I get side tracked and just screw up for no reason. 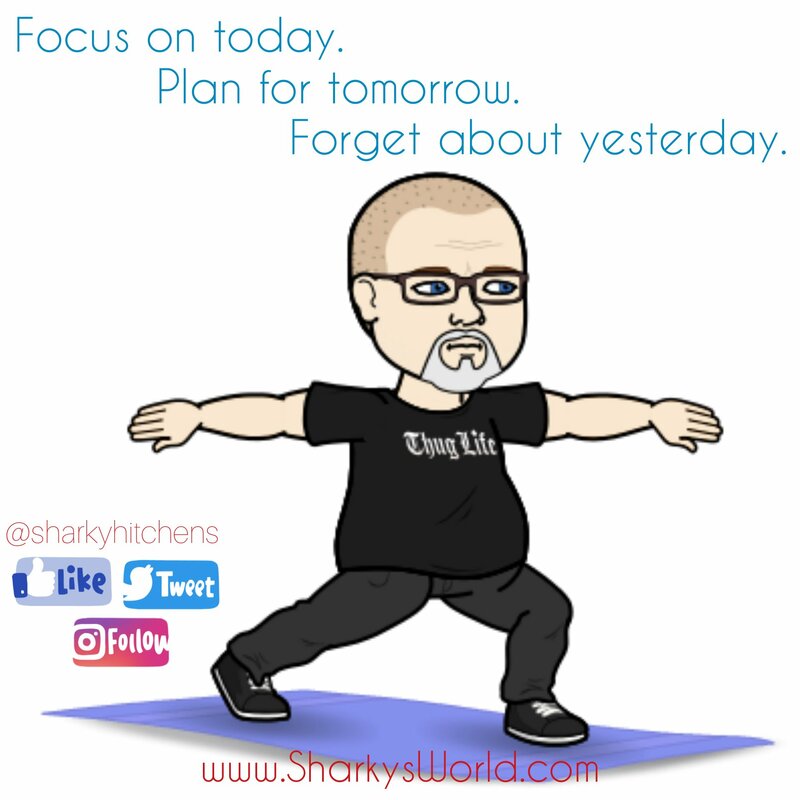 Focus on today, plan for tomorrow and ignore yesterday. That is what I need to base my life on….what I did yesterday doesn’t matter…only today and tomorrow matter. I’ve spent a lot of time “tracking” what I did and not enough on what I’m doing or need to do. You don’t have to forget where you started or all the success you’ve had but, even though I’ve lost 132 lbs, I could easily get side tracked and gain it all back- that struggle will never be over. Every day I need to go to bed knowing that I did everything I could to get me towards my goals and continue to less and less that keeps me from them.